When it comes to flavor and taste, few things compare to home-canned produce fresh from the garden. The home canning and preserving season is now upon us, so it’s time to get your gear and recipes ready. Recipes that are not precise, that call for “a pinch” of this ingredient or “a pinch” of that ingredient; recipes that are not tested in a laboratory; or those that contain outdated or inaccurate canning information, can result in products that may be unsafe to consume. Ingham offers three general guidelines for safe food preservation. 1. Inspect and repair any food preservation equipment at the beginning of the season. Now is a good time to inspect canners or food dehydrators to make sure all equipment is in working condition. Start now to collect approved canning jars and lids for use during the season. 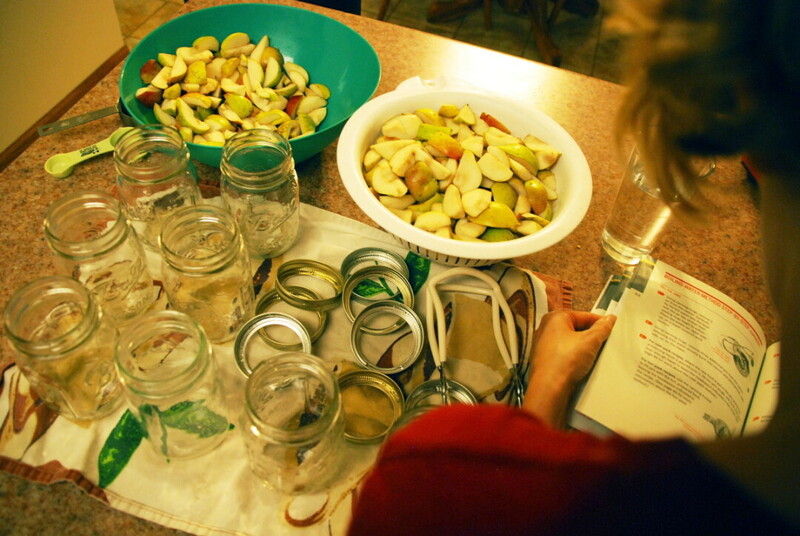 Canning jars that use two-piece, self-sealing metal lids are recommended for home canning. Jars should be free of nicks or scratches. A “must” every canning season is new, flat lids. Metal screw bands that are not bent or rusted can be reused. 2. Have dial-gauge pressure canners tested for accuracy. A pressure canner is essential for canning low-acid vegetables, meats, fish, and poultry. Pressure canners come with either a dial-gauge or a weighted-gauge. Dial-gauge pressure canners should be tested each year for accuracy. Most county UW-Extension offices offer free dial-gauge testing; call ahead for availability of this service. 3. Always follow an up-to-date tested recipe from a reliable source. This is perhaps the most important step in preparing for home food preservation, according to Ingham. Cookbooks and old family recipes are not reliable sources of tested recipes that meet current food safety recommendations. Consult your local county UW-Extension office for recipes that will ensure you are canning safe, high-quality foods. You can find the most up-to-date recipes, how-to videos, online lectures, and more to help you safely can fruit, jams and jellies, meat, pickles, salsa, tomatoes, and vegetables; plus information on freezing fruits and vegetables at the “Safe and Healthy: Preserving Food at Home” blog at fyi.uwex.edu/safepreserving.